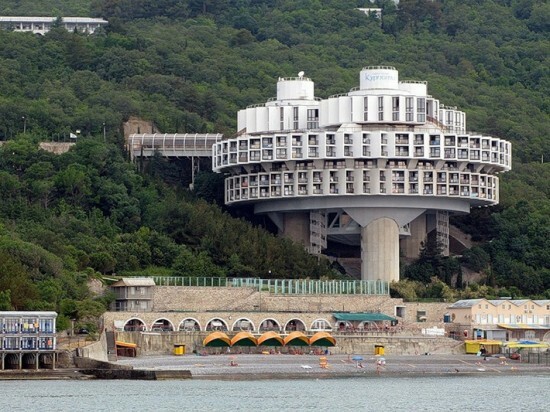 1 socialist architecture | This Blog Rules | Why go elsewhere? 1. 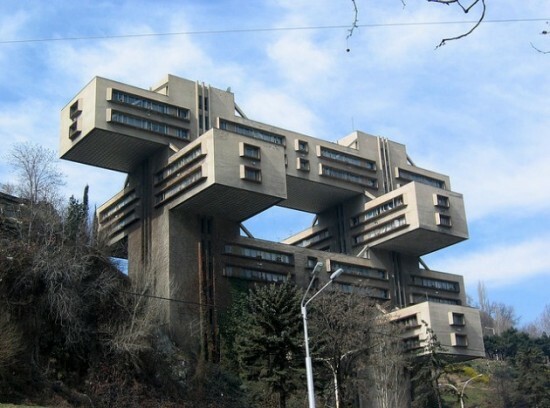 Bank of Georgia, Tbilisi. The Lego like building was finished in 1975. One of the architects, George Chakhava, was the client as well, as he was acting Deputy Minister of highway construction. It was a very convenient situation, as he was able to choose the exact location. As you can see, the structure seems to float. The architects employed the ‘Space City Method’ – using minimal building footprint to award as much of the land as possible back to the nature. Hippie indeed! The building is 18 floors tall and has a total surface of 13.500 square feet. Bank of Georgia decided to buy the building in 2007 and renovated it completely, ensuring that future generations will have the chance to admire one of the most striking socialist modernist buildings. 2. 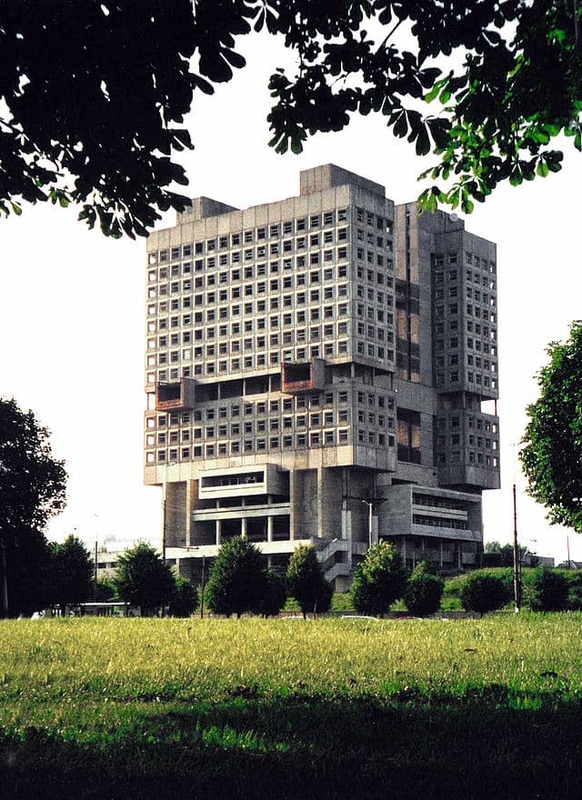 House of Soviets, Kaliningrad. Kaliningrad is an exclave of Russia, basically the closest piece of Russian land to Western Europe. Before 1946, the area and the seaport Kaliningrad belonged to East Prussia, part of the German state of Prussia. Until 1969, Konigsberg Castle, an old Teutonic structure lied where the ‘Buried Robot’ is placed. This picture right here portrays the House of Soviets, a construction erected by the soviets starting with 1970. Starting with, because it was never actually finished. There were a couple of construction problems. First, they realized that building upon the old castle structure was not feasible, thus cutting 7 floors down. Secondly, they ran out of funding in 1985. 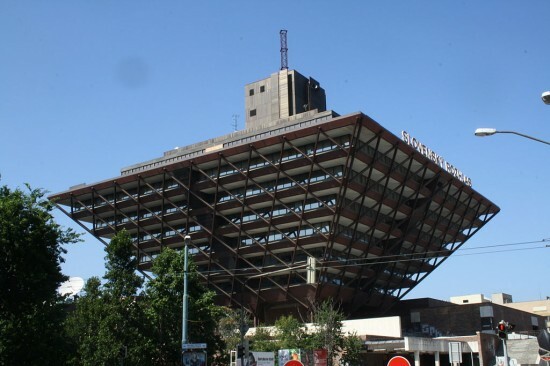 The inverted pyramid has been included in the list of 30 most ugliest buildings in the world. Some find it fascinating, though. The 80 meters high construction houses a large concert hall and the Slovak Radio since 1984, a year after it was completed. The odd construction erected in 1974 houses two movie halls. It was turned into a market place recently. The wavy roofed building was finished in 1961 and is now included in the list of protected monuments, rara avis for post-socialist countries. As usually was the cases for such buildings, it was aimed at providing culture for working class neighborhoods. Drujba means friendship in Russia, a beautiful choice exhibited by the sheer simplicity and warmth awarded by its symmetry. The hotel was constructed in 1984 by Czechoslovak architects and has a capacity of 400 people. The panorama must be gorgeous. 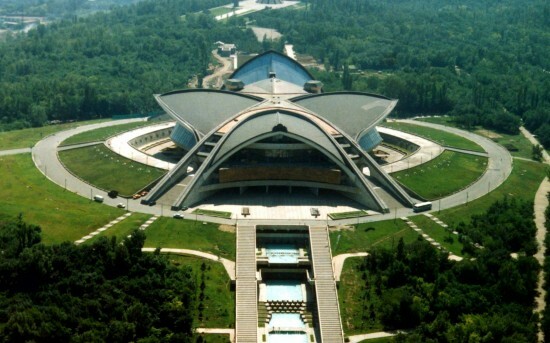 Demirchyan Complex sits on a hill in northwestern Yerevan. The impressive building hosts four large rooms for concerts, sports, a foyer and diplomatic events. The first years were troublesome, as a fire forced the authorities to close it in 1985, less than two years since the opening. In 1987 it was reopen for the public. 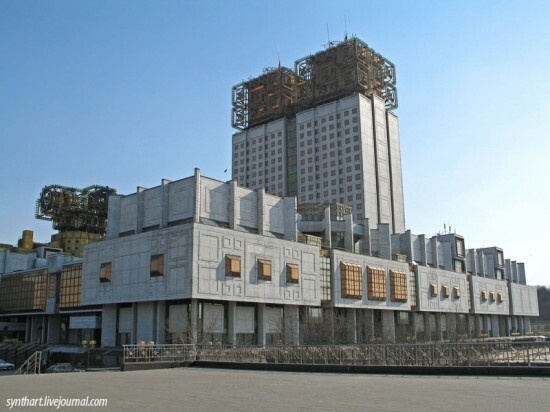 An Armenian running a business in Moscow decided to buy the building from the Government. After three years of intense and very costly ($42 million) renovation, the building was found in an excellent shape back in 2008. The Government decided to take it back in August 2014, because the owner’s debt increased. When the construction of this building complex started in 1974, the plans must have seemed terribly impressive. 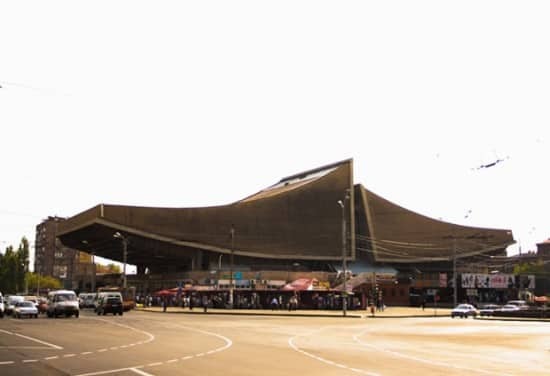 Probably at the time of its completion, 1994, it gradually lost some of its grandeur. The golden metal accessories of the 23 stories high main building lit up at night and are knick-named ‘the golden brains’ by the Russians. Buzludha is the name of the mountain peak where this alien spaceship rests. 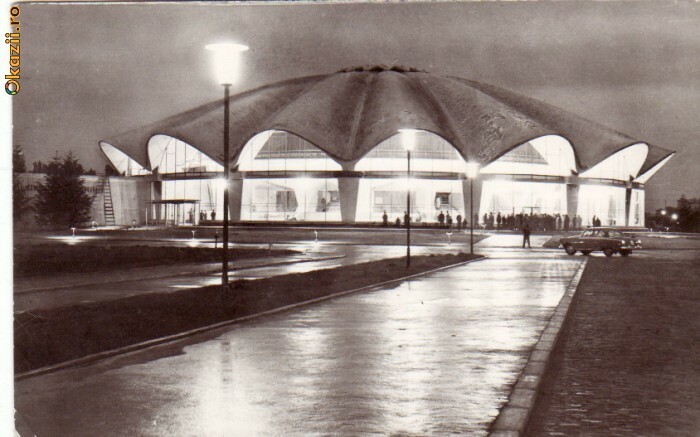 The Bulgarian Communist Party decided in 1981 to comemorate 100 years since the the first socialist movement was founded, which happened right in the area. Unfortunately, the Star Trek-like construction fell out of grace and is now in an advanced state of disrepair. 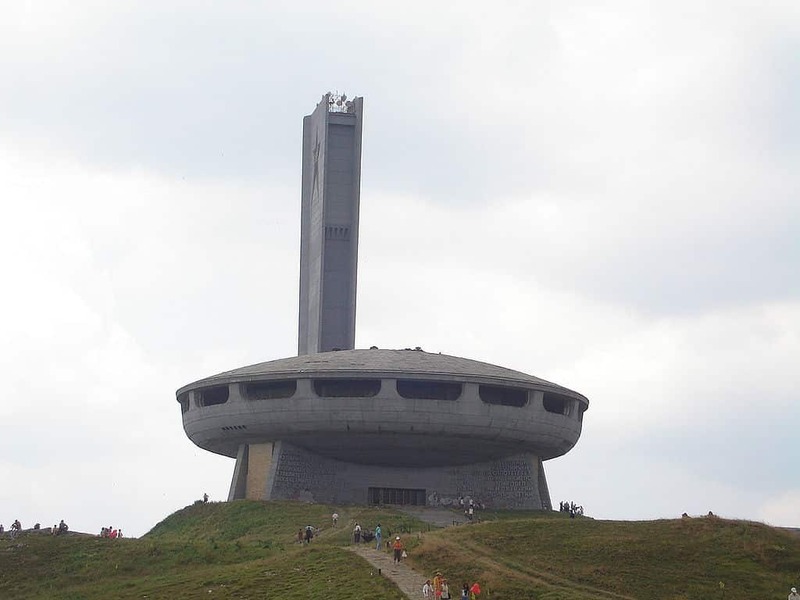 Buzludzha is one of the most exquisite examples of futuristic architecture from a socialist country.